Earlier this morning, The U.S. Bureau of Labor Statistics released new data on the U.S. labor market during the month of April. 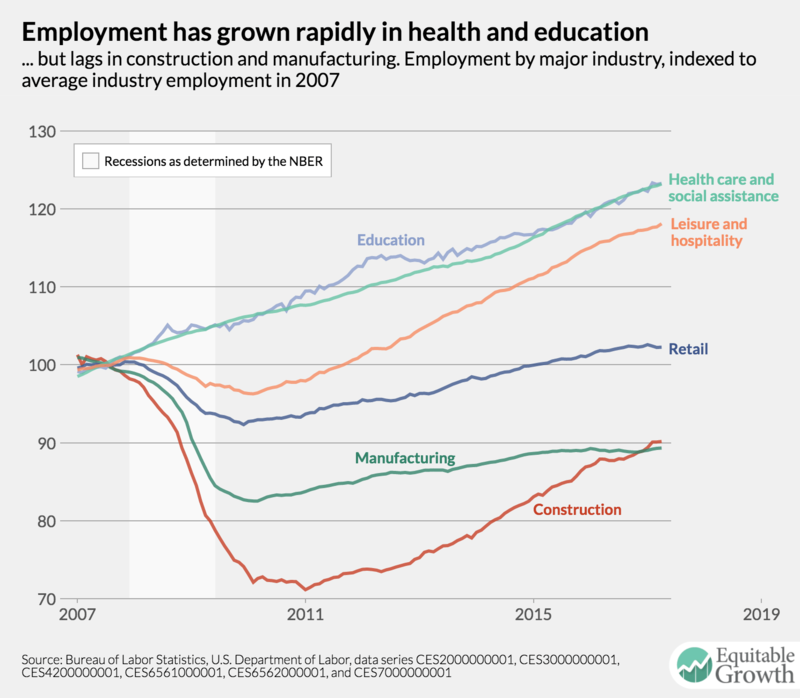 Below are five graphs compiled by Equitable Growth staff highlighting important trends in the data. 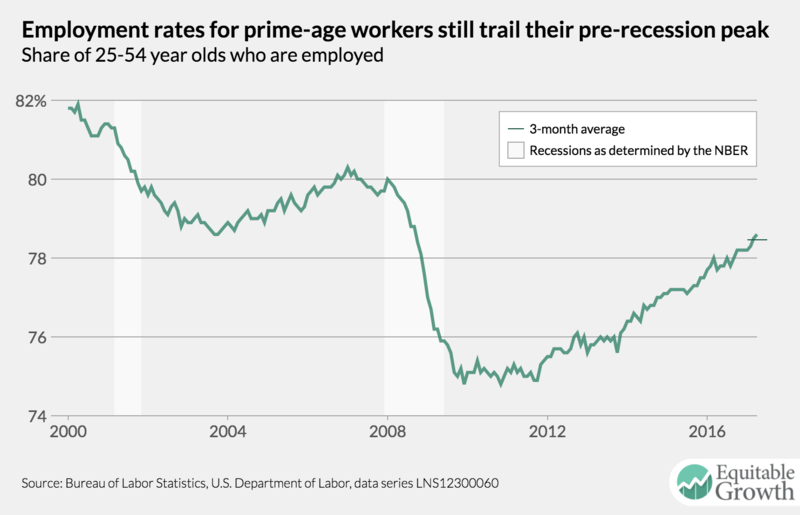 The share of prime-age workers with a job increased slightly in April, once again reaching a new high for this recovery. But it remains below pre-recession levels. 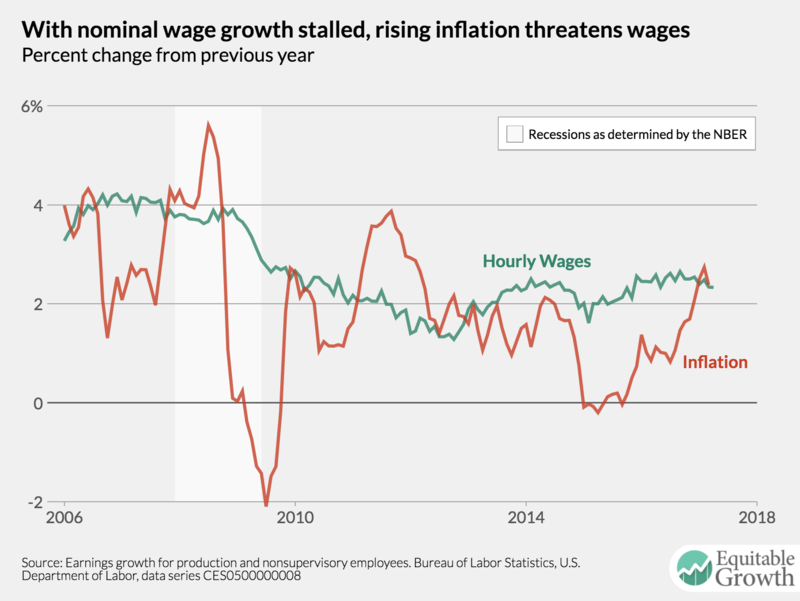 Wage growth for non-managerial workers continues to stagnate in the face of inflation near two percent. Retail employment was muted in April, adding only 6,000 jobs, but that was a welcome change from declines in previous months. 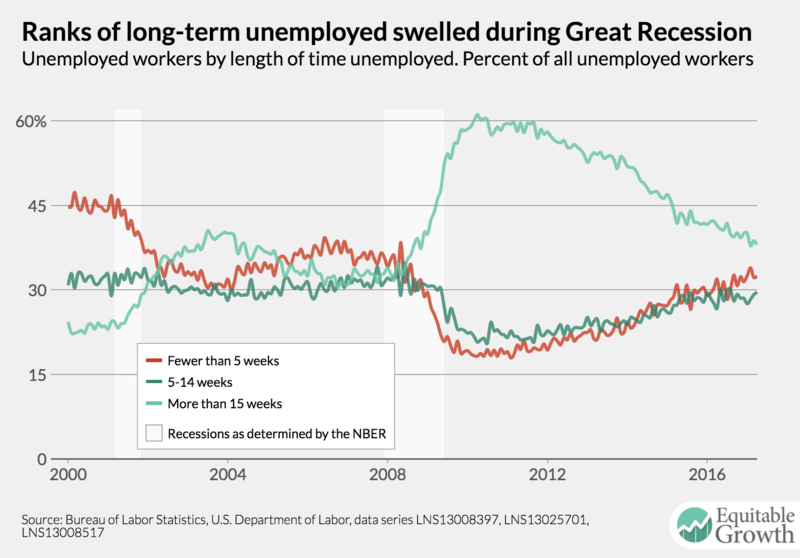 As unemployment continues to decline, the share who’ve been unemployed for 15 weeks or more also continues to decline. 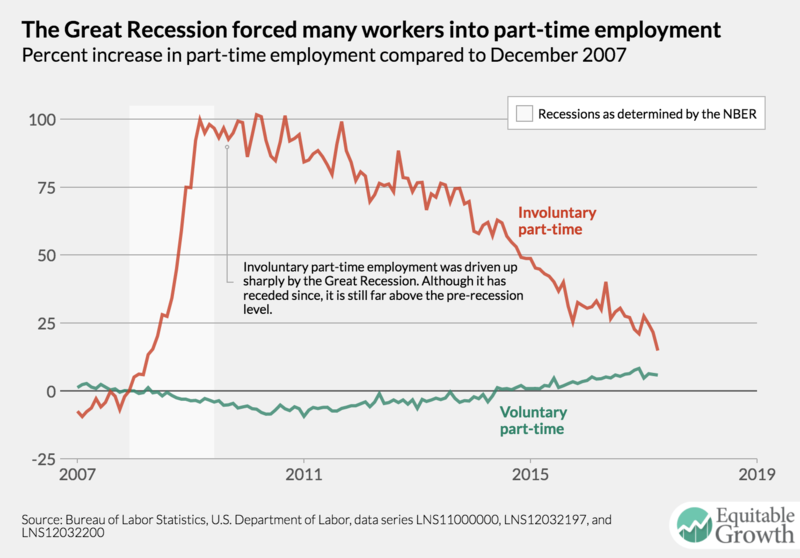 The increase in part-time workers who’d like to work full-time is abating, but the number of these workers is still above pre-recession levels.